“Resist the devil, and he will flee from you. Draw near to God, and he will draw near to you” (James 4:7b–8a). Regrettably, in much of the world today it is difficult to observe any difference between those who call themselves Christians and those making no such claim at all. Different surveys show that many church members have become double-minded, professing faith in Christ while embracing the lifestyle of this fallen world. Being double-minded was also indicative of the original audience to whom James wrote his epistle. 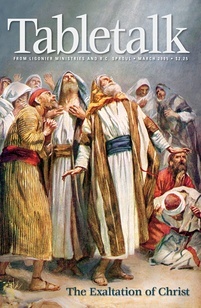 In 1:6–8, James warned his audience against coming before the Lord in a double-minded manner. This audience needed this warning because of its reluctance to be doers of the Word (v. 22), shown by exalting the rich (2:1–7) and misusing the tongue (3:1–12), which indicated that they might be Christians in name only, lacking true faith (2:14–26). Yet, this audience was not without hope. Some, if not all, were true “brothers” (1:19; 2:1; 3:1) and could once again receive the wisdom and grace of God that ensures perseverance (1:2–4; 3:13–18; 4:6). Today’s passage tells how this is done. The first step is to submit to God and to resist the devil (4:7). Until Christ returns to consummate the kingdom, the devil has the power to lure God’s people away from submission to Jesus’ rule. Therefore, we must stand daily against the enemy and eagerly embrace God’s rule over our lives. Such submission demonstrates the humility that we must possess if we are to receive the grace that restores us (v. 6). Moreover, this humility also requires repentance and cleansing. We must draw near to God, purifying our hearts and cleansing our hands (v. 8) by turning from our inward and outward sins and asking God to cleanse us. All Christians can find at least one area in their lives in which they have sought to follow their own understanding instead of the standards of the Lord. God has promised to forgive us for this behavior if we would but draw near to Him. Go before the Lord today in the confidence we have to enter His presence, asking for His forgiveness (Heb. 10:19–22). Find a friend who will hold you accountable for going before God in prayer and who can help you resist the devil.